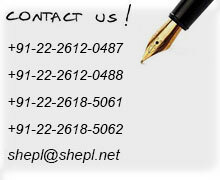 SHEPL over the years has built an extensive experience in operating and maintaining vessels. The vast knowledge gained of the charter market helps in locating vessels suitable to the charterers requirement’s for any scope of activity. SHEPL owns a DP 2 Diving Support Vessel – Supreme Explorer, which has recently been engaged in executing various subsea activities in Mumbai High for M/s Leighton Contractors India Pvt Ltd.
SHEPL assures a cost effective and tailor-made solution’s to meet the challenges of its clients.